Psymon Spine is an experimental pop band based in Brooklyn, by way of upstate New York, where they met in school. Their constantly shifting sound is informed by the band’s varied musical backgrounds, which range from house music to punk, hip-hop, minimalism, West African music, Tropicália, gamelan, and more. Founding members Peter Spears and Noah Prebish had only known each other for a handful of weeks when, through a series of strange events, they found themselves on a headlining European tour together, playing electronic music under Prebish’s other project, Karate. 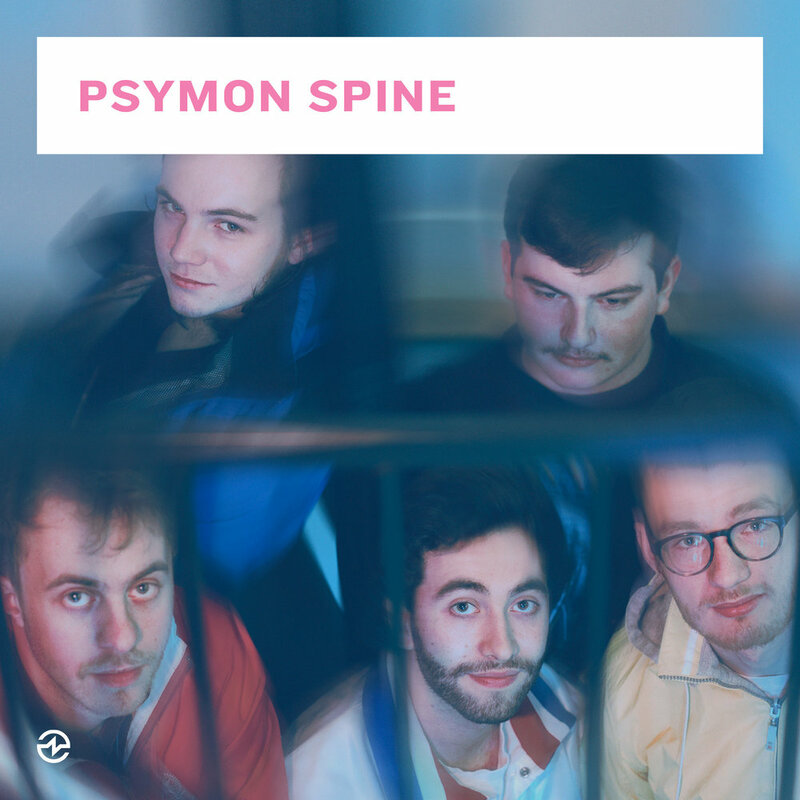 Their first song as Psymon Spine was written in a Parisian hostel, and it was after their London show that they were offered their first record deal. Following the tour, the project was expanded to a 5 piece band, ultimately including Devon Kilburn, Nathaniel Coffey, and Prebish’s lifelong friend and partner in Karate, “Brother Michael” Rudinski. In 2013, the band met and began collaborating with Graham Dickson of London-based band Crystal Fighters, who would go on to start Axis Mundi Records and sign Psymon Spine. The next several years would be spent writing and recording their album, touring, DJing, and performing with the likes of Mr Twin Sister, Crystal Fighters, Is Tropical, Juan Maclean, Guerilla Toss, and MGMT’s Andrew VanWyngarden. The title of the band’s debut LP, You Are Coming To My Birthday, was inspired by an ominous note handed to a friend of the band by one of her young students. The album comes out June 9, 2017, on Axis Mundi Records.